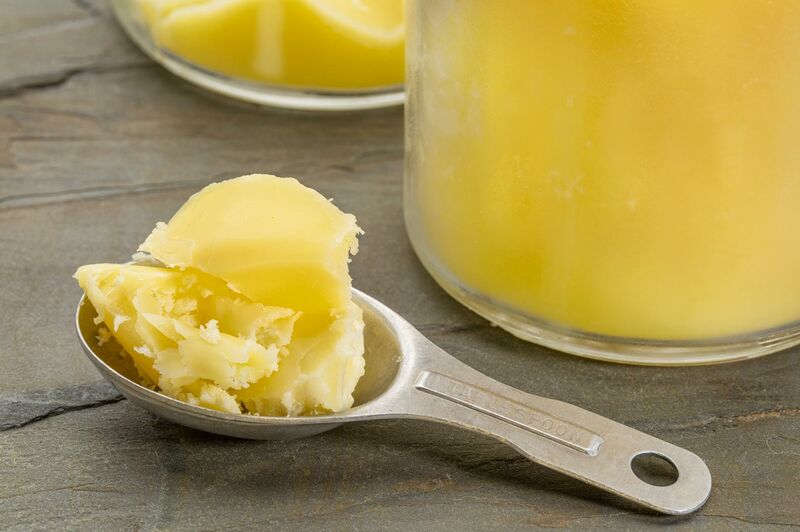 Ghee – Healthier than Butter? I have recently been asked more about this product and the health benefits of using Ghee. Ghee is clarified butter which means the milk solids are removed during processing which gives it a more clear appearance. Ghee is known for being used in Indian cooking. Some people really enjoy the flavor of Ghee. Ghee is simmered in order to remove the milk solids. This gives Ghee a nutty flavor profile. 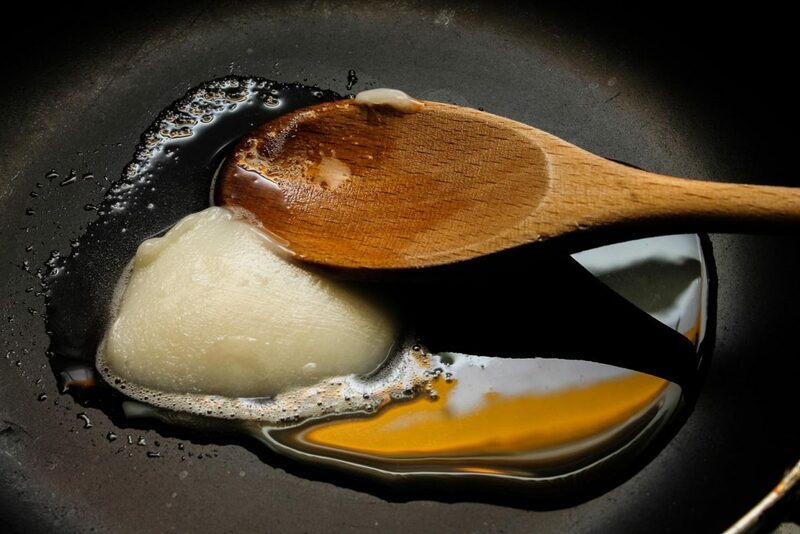 Ghee has a higher smoke point than butter since the milk solids have been removed. According to the Vegetarian Health Institute the smoke point of butter is 350 degrees F and the smoke point of Ghee is 485 degrees F. Ghee will tolerate higher temperature cooking. Ghee is thought to better in regards to digestion due to the lactose and the milk proteins are very minimal. This may be the case but overall butter is mostly fat and low in lactose and protein. Ghee has been promoted for weight loss. Medical Research does not support this claim. Ghee is still a fat and any fat source contains calories. How does Ghee stack up against Butter and Olive Oil? The nutrition content is very similar between the difference fat sources. Overall, no matter the fat source it is best to limit added fats and spreads for optimal nutrition. If you enjoy eating Ghee then practice moderation but remember it is still a fat and contributes to your total fat and calorie intake.